This is a short tip but a very important one. Nitrogen cylinders contain approximately 2200-2400 PSI of pressure, that kind of force can do some serious damage to a person or property. Before attaching your nitrogen regulator to any cylinder, inspect the threads of the regulator and cylinder valve to ensure they are not stripped or damaged and make sure you back out the regulator handle all the way. Fasten the regulator to the cylinder and before you open the cylinder valve, turn and direct the regulator away from yourself and others. If the regulator becomes a projectile, you do not want to be standing in front of it. While carrying nitrogen cylinders from job to job in your vehicle, ensure they are strapped down and secured tightly and the regulator is removed while in transit. 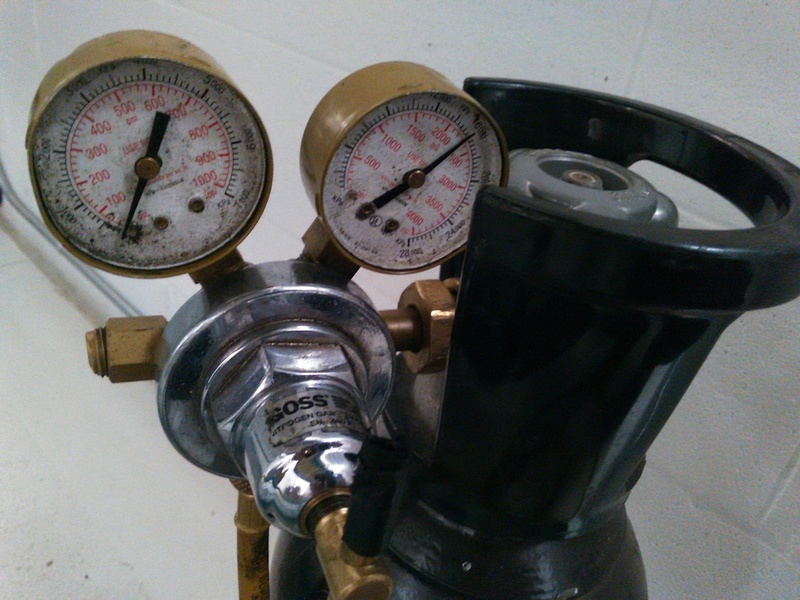 These precautions should be thought of and employed when working with any compressed gas cylinder, stay safe.